In the midst of one of the wildest presidential races in the history of United States, the sudden death of Supreme Court Justice Antonin Scalia has created yet another wrinkle in the campaign’s political fabric. With the Republican leadership delaying consideration of President Obama’s nomination of Merrick B. Garland until next year, a look at some earlier elections and court nominations might be instructive. Although history will record that congressional Republicans have opposed virtually every program advanced by Obama throughout his administration, including their very own health care plan, history also reveals what happened during a similarly contested election and “lame-duck” nomination of a Supreme Court justice shortly after the United States was founded. Will the Republicans take lessons from the conservative “Federalists” who actually drafted and ratified the Constitution, or will they continue their strategy of obstruction at all costs? Following George Washington’s two terms as the first president of the United States, party politics first reared its ugly head as Vice President John Adams—who headed the new Federalist Party—was elected President. Washington’s Secretary of State, Thomas Jefferson—the leader of the new Democratic-Republican Party—received the second largest number of electoral votes and automatically became the Vice President. 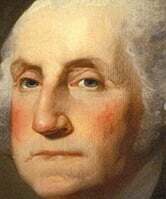 Four years later, the election of 1800 was a rematch between the two candidates. The election was bitterly fought, with the Democratic-Republicans attacking Adam’s pro-British position and his Alien and Sedition Acts and the Federalists attacking Jefferson’s pro-French position. The election, which was held throughout the month of November, resulted in an Electoral College tie vote between Jefferson and Aaron Burr (who was ostensibly Jefferson’s vice-presidential running mate). When Burr arrogantly declined to step aside, the matter was decided by the House of Representatives during February 1801. Following 36 votes the House finally decided for Jefferson, who was inaugurated on March 4, 1801, with Burr as the Vice President. Simultaneously—and although he had already been defeated for reelection—Adams appointed his Secretary of State, John Marshall, to be the Chief Justice of the Supreme Court. Marshall’s nomination was confirmed by the lame-duck Federalist Senate on January 27, 1801, only 35 days before Jefferson was to be inaugurated. Marshall officially took office as Chief Justice on February 4th; however, he continued to serve as Secretary of State until the expiration of Adams’ term a month later. Marshall went on to dominate the Supreme Court for 34 years under six presidents. He was largely responsible for establishing the doctrines of judicial review, federal supremacy over state laws, and federal regulation of interstate commerce. With the ratification of the 12th Amendment to the Constitution in 1804, voting for president and vice president in the Electoral College was separated and the situation in which the two offices could be held by members of opposition political parties was largely eliminated. The Amendment also covers the situation wherein no candidate receives an electoral majority and provides the manner by which the matter is to be determined by a vote in the Congress. The 12th Amendment was tested during the election of 1824 in which none of the three candidates achieved a majority vote in the Electoral College. Even though Senator Andrew Jackson received more popular votes than the next two candidates combined (Secretary of State John Quincy Adams and Senator Henry Clay), the House of Representatives voted in what became known as the “corrupt bargain” to give the presidency to Adams. Jackson quit the Democratic-Republican Party and established the modern Democratic Party, which provided the platform for his election as president in 1828. 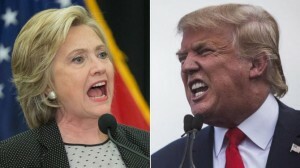 With the establishment branch of the current Republican Party now threatening to run an independent candidate should the outlier Donald Trump prevail in the primaries, and with Senator Bernie Sanders’ continuing strong progressive challenge to Hillary Clinton—the establishment candidate of the Democratic Party—there is a possibility that no presidential or vice presidential candidate will have a majority when the electors vote in December. Absent a majority vote, the matter will have to be decided by the 115th Congress after being seated on the 3rd of January. The House, voting by states, will choose the president from the top three candidates. Senators, voting as individuals, will select the vice president from the top two candidates. Should the Republicans retain their current majority in the House of Representatives, the establishment Republican candidate could be chosen, even if he or she received the least number of popular or electoral votes. The present Republican majority in the Senate is only 54 of 100, and with 34 of the Senate seats being contested in November, the Democrats might more easily obtain a majority in the Senate. Under this scenario, the Nation could once again be faced with the possibility of a vice president being from a different party than the president. More amazingly, if the House failed to obtain a majority vote of 26 states for president by January 20th, the new vice president selected by the Senate would be inaugurated to serve as president until the House could make its choice. Who can possibly predict at this time how the current political craziness will work itself out? Perhaps the time has come to shutter the anachronistic Electoral College and to allow the American voters to popularly elect their own presidential leadership during shorter, more inexpensive, and less divisive campaigns. William John Cox is a retired public interest lawyer. His new book, “Transforming America: A Voters’ Bill of Rights” presents the United States Voters’ Rights Amendment, which replaces the presidential Electoral College with national popular elections. He can be reached through his website, http://www.williamjohncox.com.